"Christie was so excited to show us her new skill!" Taught at a local high school, this course covers Photoshop skills, design principles, and creative effort. Students create their own art in a variety of assignments, including collages, digital effects showcases, and movie posters. In this course, students are taught camera use, composition, color balancing, and digital photo editing. Students have an opportunity to go with their teacher off-campus to photograph nature and city scenes before returning to the lab to edit, perfect, and print their work. 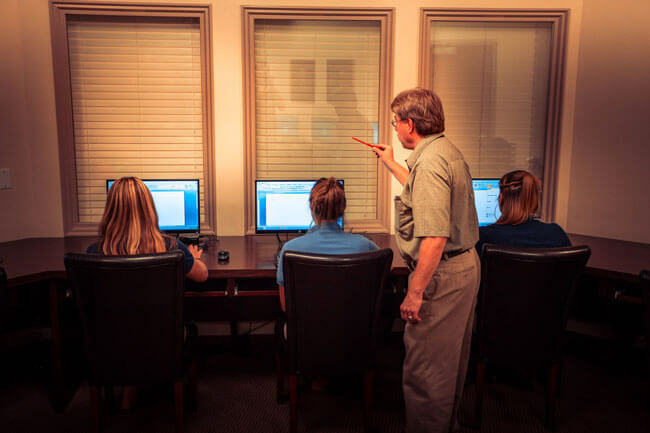 This elective course teaches students the basics of computer use, managing office software, such as Word, Excel, and PowerPoint. It also covers basics of Internet Safety.